Adults know that you shouldn't spend ALL winter indoors reading comic books, as much as the younger comic fans would like to convince you otherwise. If there's snow on the ground (and especially if there's lots of it), there are outdoor adventures to be had, exciting missions to be taken, and memories to be made! 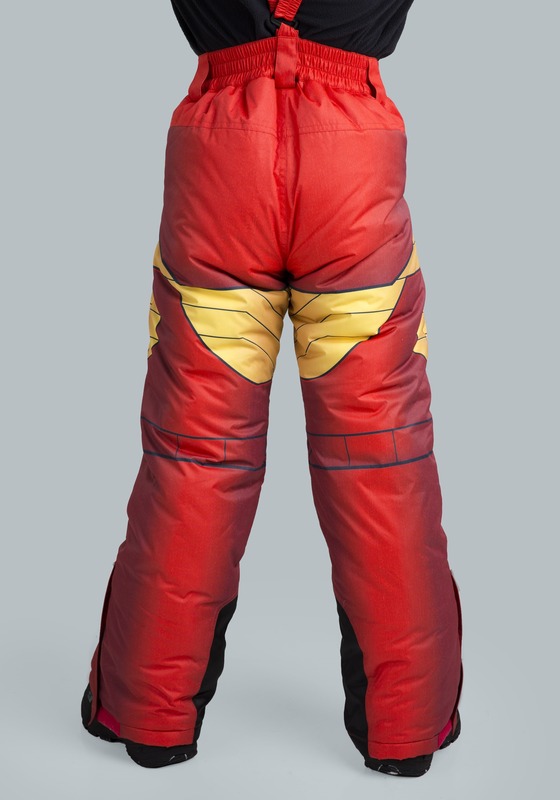 So, if you need a little help giving your superhero fan an extra nudge out the front door to partake in all those fun winter activities, all you'll have to do is equip him with these specially designed Iron Man snow pants for kids. 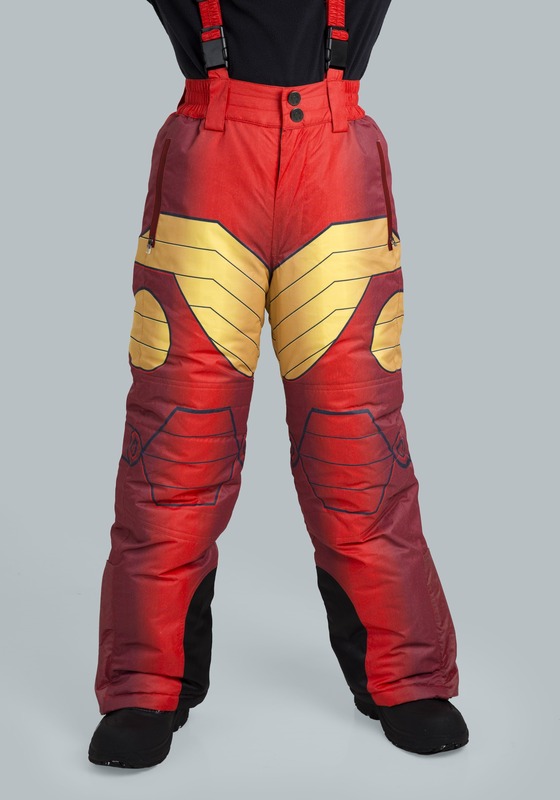 Water repellent and designed for superhero action in the snow, these pants will be like outfitting him with the latest Stark invention! 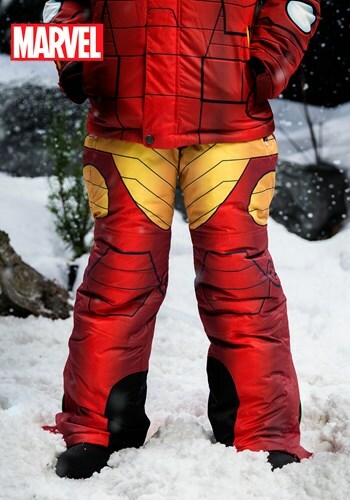 When combined with our Iron Man jacket (sold separately), you'll be able to give him his own "armor" for tackling the inclement weather. And when he takes the inspiration from comic pages to winter wonderland, we're sure he's going to get into all kinds of Avenger adventures, the kind fueled by imagination and a fortuitous snow day. From our FUNwear line of coats and gear, these snow pants will have him ready to take on the cold in style, especially when paired with our matching ski jacket (sold separately). 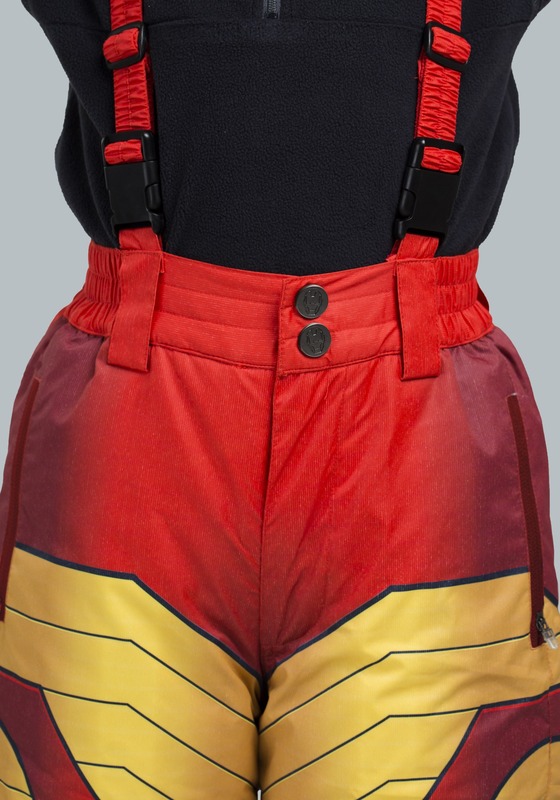 Featuring Iron Man's iconic armor in an all-over print, and an elastic waist with belt loops and a detachable suspender set, he can wear it as he desires. With adjustable cuffs and zippered vents at the ankle, he'll be ready to build S.H.I.E.L.D. 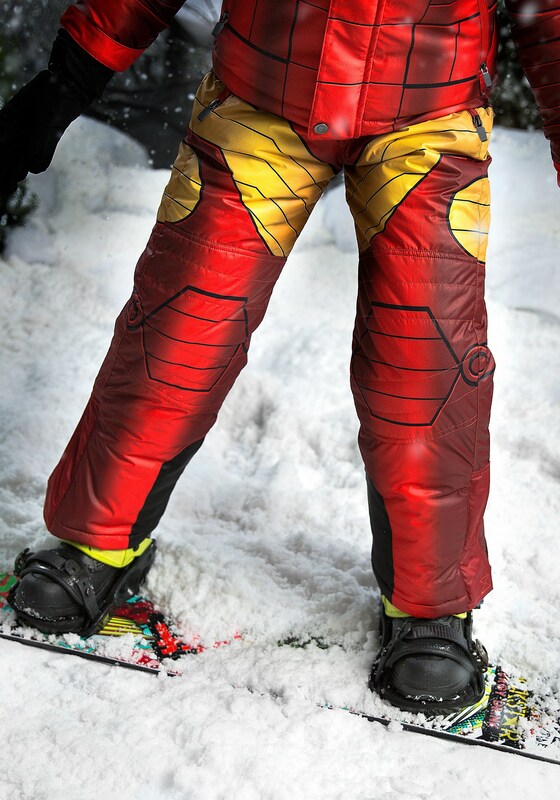 a new base, take on the evil Whiplash, and see to it that Iron Man completes his wintery mission in the mountains of Europe. His comic books will still be there waiting when the snow melts, so this is the time to get out there and claim victory over the season! Zip-down closure pockets have waterproof seal. Belt loops on elastic waistband. Removable, adjustable suspenders with side-release buckles. 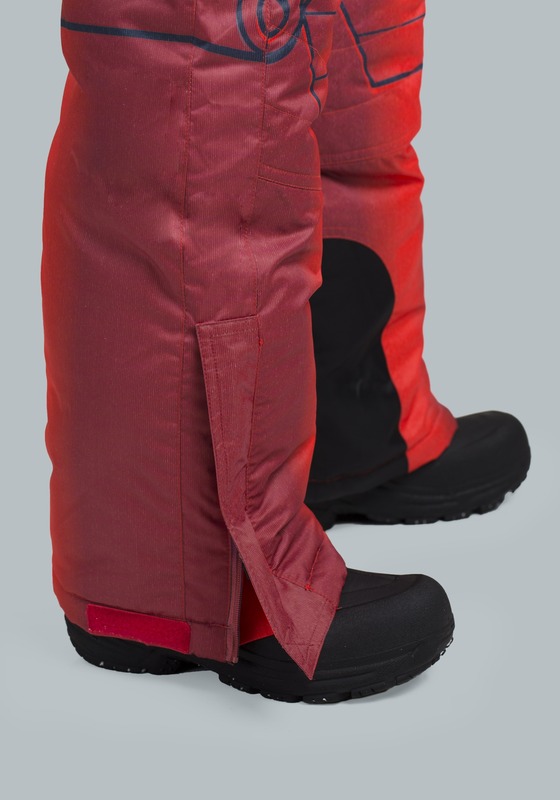 Adjustable cuffs with internal leg gaiters. Zipper vents on bottom of pant legs. My boy loves these. Good fit and warm.